By 1978, Tim Maia had released nine albums since his 1970 eponymous debut, and although some of these album had been released to critical acclaim and were a commercial success, the charismatic Brazilian singer found himself financially embarrassed. Things had been going from bad to worse over the last few years and Tim Maia now found himself being chased by bailiffs and debt collectors on a daily basis. Tim Maia hoped that his tenth album Disco Club, which was recently reissued by Mr. Bongo Records, would sell well enough to solve all his financial problems, given disco’s popularity in Brazil. Disco Club needed to sell well as all the money that Tim Maia had earned since 1970 was long gone, spent on cars, musical instruments and the rock ’n’ roll lifestyle which Tim Maia had embraced almost defiantly. However, it hadn’t always been like this. Tim Maia, who was born in Rio De Janeiro on September the ‘28th’ 1942.Tim Maia was the eighteenth of nineteen children. Aged just six, Tim Maia earned a living delivering homemade food which his mother cooked. This Tim Maia hoped would be the nearest he ever got to an ordinary job. After that, Tim Maia decided to devote himself to music which offered him an escape from the grinding poverty that was around him. It turned out that Tim Maia was a prodigiously talented child, who wrote his first song as an eight year old. By the time he was fourteen, Tim Maia had learnt to play the drums and formed his first group Os Tijucanos do Ritmo. They were only together for a year, but during that period, Tim Maia took guitar lessons and was soon a proficient guitarist. This would stand him in good stead in the future. In 1957, Tim Maia domed vocal harmony group, The Sputniks who made a television appearance on Carlos Eduardo Imperial’s Clube do Rock. However, the group was a short-lived, and Tim Maia embarked upon a solo career. This lasted until 1959, when seventeen year old Tim Maia made the decision to emigrate. Tim Maia decided to head to America, which he believed he was the land of opportunity and headed to New York with just twelve dollars in his pocket. On his arrival, Tim Maia who was unable to speak English, managed to bluff his way through customs, telling the officials that he was a student called Jimmy. Incredibly, the customs officer believed him and Tim Maia made his way to Tarrytown, New York, where he lived with extended family and started making plans for the future. By then, Tim Maia had decided he would never return to Brazil. During his time in New York, Tim Maia held down a variety of casual jobs and it has been alleged that he even augmented his meagre earnings by committing petty crimes. However, Tim Maia also learnt to speak and sing in English, which lead to him forming a vocal group The Ideals. During his time with The Ideals, they decided to record a demo which included New Love which featured lyrics by Tim Maia. When The Ideals entered the studio, percussionist Milton Banana made a guest appearance. Sadly, nothing came of the demo, although Tim Maia later resurrected New Love for his album Tim Maia 1973. Before that, things went awry for Tim Maia and he was eventually deported. Confusion surrounds why and when Tim Maia was deported from America, and there’s two possible explanations. The first, and more rock ’n’ roll version is that Tim Maia was arrested on possession of cannabis in 1963, and deported shortly thereafter. That seems unlikely given how punitive penalties for possession of even a small quantity of cannabis were in the sixties. Indeed, it’s highly unlikely that Tim Maia would’ve deported, without having to serve a jail sentence first. This lends credence to the allegation that Tim Maia was caught in a stolen car in Daytona, Florida, and after serving six months in prison, he was deported back to Brazil in 1964. Now back home in Brazil, Tim Maia’s life seemed to be going nowhere fast. He was fired from several jobs, and was also arrested several times. It was no surprise when Tim Maia decided to move to São Paulo, where he hoped that he could get his career back on track. Having moved to São Paulo, Tim Maia, hoped he would be reunited with Roberto Carlos who had been a member of The Sputniks. Ironically, it was Roberto Carlos who Tim Maia had insulted before he left The Sputniks. Despite leaving several messages, Roberto Carlos never returned Tim Maia’s calls and he had no option but to try to make his own way in the São Paulo music scene. Tim Maia’s persistence paid off, and soon, he had featured on Wilson Simonal’s radio show, and then appeared alongside Os Mutantes on local television. Despite making inroads into the São Paulo music scene, Tim Maia was determined to contact Roberto Carlos and sent him a homemade demo. Eventually, Tim Maia’s persistence paid off. When Roberto Carlos heard the demo, he recommended Tim Maia to CBS who offered him a recording deal for a single, and an appearance on the Jovem Guarda television program. However, when Tim Maia’s released his debut single Meu País in 1968, it failed to find an audience. Tim Maia tried a new approach with his sophomore single and recorded These Are the Songs, in English. It was released later in 1968, but again, commercial success eluded Tim Maia. Things weren’t looking good for the twenty-six year old singer. Fortunately, Tim Maia’s luck changed when he wrote These Are the Songs for Roberto Carlos, which gave his old friend a hit single. At last, things were looking up for Tim Maia. Things continued to improve when Elis Regina became captivated by Tim Maia’s song These Are the Songs. This led to Elis Regina asking Tim Maia to duet with her on the song. Tim Maia agreed and they recorded the song in English and Portuguese, which the song featured on Elis Regina’s 1970 album Em Pieno Veroa. Recording with such a famous Brazilian singer gave Tim Maia’s career a huge boost, and soon, he was offered a recording contract by Polydor. Having signed to Polydor in 1970, and somewhat belatedly recorded his debut album Tim Maia 1970. Although it showcased a talented, versatile and charismatic singer, who married soul and funk with samba and Baião. This groundbreaking album spent twenty-four weeks in the upper reaches of the Brazilian charts and launched Tim Maia’s career. The following year, Tim Maia returned with his sophomore album Tim Maia 1971, where elements of soul and funk were combined with samba and Baião There were even hints of jazz, psychedelia and rock, during what was an ambitious and innovative album of genre-melting music which was released to critical acclaim and commercial success. Tim Maia 1971 also featured two hits singles Não Quero Dinheiro (Só Quero Amar) and Preciso Aprender a Ser Só. Tim Maia’s star was in the ascendancy, and it looked as if he was well on his way to becoming one of the biggest stars in Brazilian music. After the success of his sophomore album, Tim Maia headed to London to celebrate after years of struggling to make a breakthrough. For the first time in his career he was making a good living out of music, and Tim Maia was determined to celebrate and enjoy the fruits of his label. However, it was during this trip to London, that he first discovered his love of the rock ’n’ roll lifestyle. Realising that he was only here for a visit, Tim Maia embraced the rock ‘n’ roll lifestyle and almost defiantly, lived each day as if it was his last. He hungrily devoured copious amounts of drugs and alcohol which became part of Tim Maia’s daily diet. Fortunately, his new-found lifestyle didn’t seem to affect Tim Maia’s ability to make music. That was until Tim Maia discovered a new drug that would prove to be his undoing. In London, Tim Maia discovered LSD He became an advocate of its supposed mind opening qualities. He took 200 tabs of LSD home to Brazil, giving it to friend and people at his record label. Little did Tim Maia know, but this was like pressing the self destruct button. They had offered Tim Maia the opportunity to record a double album for his fifth album. He was excited by this opportunity and, agreed to sign to RCA Victor, and soon, began work on his fifth album. Somehow, Tim Maia was still seemed able to function normally on his daily diet of drink and drugs. Before long, he had already recorded the instrumental parts, and all that was left was for Tim to write the lyrics. Seeking inspiration for the lyrics, Tim Maia decided to visit one of his former songwriting partners Tibério Gaspar. That was where Tim main found the book that would change his life, but sadly, not for the better. The book was Universo em Desencanto (Universe in Disenchantment), which revolved around the cult of Rational Culture who didn’t believe in eating red meat or using drugs. Given Tim Maia’s voracious appetite for drink and drugs, he seemed an unlikely candidate to join the cult. However, sadly, he did. Straight away, the cult’s beliefs affected Tim Maia and his music. Ever since he joined the cult of Rational Energy, he beam fixated on UFOs, Tim was now clean-shaved, dressed in white and no longer drank, ate red meat, smoked or took drugs. Always in his hand was a mysterious book. Tim Maia was a changed man, and even his music changed. The lyrics for his fifth album, and RCA Victor debut, were supposedly about his newly acquired knowledge that came courtesy of Universo em Desencanto. With the ‘lyrics’ complete, Tim Maia’s vocals were overdubbed onto what became Racional Volumes 1 and 2. With the album completed, Tim took it to RCA Victor who promptly rejected the album. RCA Victor’s reason for rejecting the album was that it wasn’t of a commercial standard. To make matters worse, the lyrics made absolutely no sense. There was only one small crumb of comfort, and that was that Tim Maia’s voice was improving. That hardly mattered for RCA Victor, who weren’t going to release the album. For RCA Victor, Racional Volumes 1 and 2 was huge disappointment. That was until Tim Maia offered to buy the master tapes from RCA Victor, so that he could release the album independently. RCA Victor accepted his offer, which allowed them to recoup some of their money. Having bought the master tapes, Tim Maia set about releasing Racional Volume 1 in 1975. Sadly, it didn’t enjoy the same critical acclaim and commercial success of Tim Maia’s four previous albums. Suddenly, many of Tim Maia’s fans thought he was no longer the artist he once was. After releasing Racional Volume 1 in 1975, Tim Maia returned in 1976 with his sixth album Racional Volume 2. Lightning struck twice when Racional Volume 2 failed to impress the critics and was a commercial failure. Nowadays, Racional Volumes 1 and 2 are cult classics, whereas in 1976 they tarnished Tim Maia’s reputation. Maybe this was the wakeup call he needed? In 1976, Tim quit the cult after the release of Racional Volume 2. By then, he had fallen out with its leader and felt as if he had been duped. So much so, that Tim Maia wanted the master tapes to Racional, Volumes 1 and 2 destroyed. The two albums were part of his past, and now Tim Maia was ready and wanted to move forward. Tim Maia’s music changed after Tim Maia Racional, Volumes 1 and 2 as he entered what was the most prolific period of his career. This began with the release of Tim Maia in 1976, which saw the thirty-four year old combine soul, funk and MPB (música popular brasileira). However, although Tim Maia proved reasonably popular upon its release, it didn’t match the success of his first four albums. After the disappointment of his previous album, Tim Maia returned in 1977 with eighth album which he once again, decided to call Tim Maia. It found Tim Maia combining soul, funk and Latin influences on what’s an underrated album. Sadly, Tim Maia failed commercially and thirty-five year old Tim Maia was a worried man. Ever since he had been signed by Polydor and received his first advance, Tim Maia had lavished large sums of money on everything from cars and musical instruments to his continued love of the rock ’n’ roll lifestyle. The rest of Tim Maia’s money was used to pay various fines he ran up, and to pay lawyers bills that had accumulated over the last few years. This came at a price, and by 1977, Tim Maia realised that he was insolvent. Almost every day, Tim Maia was forced to play a cat and mouse game as he left his flat as bailiffs and debt collectors who were constantly chasing him for unpaid bills. It was a worrying time for Tim Maia. However, Tim Maia knew that if he could record another successful album then all his financial problems would be solved. Fortunately, there was still a small sum of money left from the advance Tim Maia had received from Polydor, and he decided to use this to record his ninth album. Unlike previous albums, he decided to record the album in English, which was something Tim Maia had always dreamt of. Using the last of his advance, he put a band together and recorded Tim Maia en Ingles. When the album was released in early 1978, Tim Maia en Ingles sold less than 10,000 which was nothing compared to what his other albums had sold. This was another financial disaster for Tim Maia whose finances went from bad to worse. With no money, and his popularity at an all-time low, the future wasn’t looking good for Tim Maia who watched as Brazil was won over by disco. The film Saturday Night Fever had just been released in Brazil, and records by Chic, Gloria Gaynor, KC and The Sunshine Band and Kool and The Gang were filling dancefloors in clubs across the country. Little did Tim Maia that two of the leading lights of Brazilian music were hatching a plan for him to record a disco album. Lincoln Olivetti was one of the top arrangers in Brazil, while Guti Carvalho one of the country’s leading producers and they were keen to record a disco album with Tim Maia. They were both aware that the maverick singer was one of Brazil’s most talented singers, but were also aware of the reputation of being unpredictable. Their job was to harness Tim Maia’s talent and help him record an album where he reached the heights of his first four albums. However, to do that, required the backing of a record company. Guti Carvalho approached Warner Bros in the hope that they would be interested in signing the flawed genius Tim Maia. However, they were well aware of his past and knew what had happened when he signed to RCA Victor. However, eventually, they decided to take a chance on Tim Maia, and he signed a recording contract with Warner Bros. His debut would be Disco Club, which was arranged by Lincoln Olivetti and produced by Guti Carvalho. Now that he had signed to Warner Bros, Tim Maia was keen to begin work on Disco Club which he hoped would transform his career and finances. He wrote Acenda O Farol, Sossego, Vitória Régia Estou Contigo E Não Abro, All I Want, Se Me Lembro Faz Doer, Juras and Johnny. Tim Maia also joined forces with Hyldon to write the album opener A Fim De Voltar. It was joined by Cassiano’s Murmúrio while Arnaud Rodrigues and Piau penned Pais E Filhos. These ten tracks became Disco Club, which was recorded in two studios in Rio de Janeiro, Estudios Level and Estúdio Transamérica. When the recording of Disco Club began, arranger and keyboardist Lincoln Olivetti and Guti Carvalho who co-produced the album with Tim Maia were joined by Argentinian conductor and arranger Miguel Cidrás. He was brought onboard to write the string arrangements to five of the tracks on Disco Club. No expense was spared and some of the top Brazilian musicians made their way to the studio to record an album that was soulful, funky and was also influenced by Tim Maia’s love of American disco. Lush strings, rasping horns and soulful backing vocalists joined percussion, keyboards and the rhythm section who added the Disco Club’s heartbeat. Gradually, a disco classic started to take shape on Tim Maia’s tenth album Disco Club. However, during the recording there was a problem. When Tim Maia went to listen to the playback of Pais E Filhos he wasn’t impressed by what he heard, so producer Guti Carvalho opened the microphone to ask Miguel Cidrás to listen to the playback. Not knowing the microphone was open, Tim Maia explained that he felt his voice was being overpowered by the strings, and would rather have one of his friend arranging the strings. Miguel Cidrás heard every world and raced into the studio and grabbed Tim Maia by his tie and through him to the ground and it’s alleged started choking him. It took Guti Carvalho and Piau to get Miguel Cidrás off of Tim Maia. As Tim Maia gasped for breath, he made it clear that he wanted Miguel Cidrás to play no further part in the session. He was gone for good as far as Tim Maia was concerned. Meanwhile, Miguel Cidrás was furious at this act of disrespect, but Warner Bros realised that the session couldn’t continue with him and at great expense paid the Argentinean arranger off. Things only lightened up when Tim Maia’s friend Mauricio do Valle arrived at the session and produced a large bag of cocaine. Suddenly, things started to return to normal. After that, Tim Maia’s tenth album Disco Club began to take shape, and over the next few days and weeks, the musical maverick recorded what was one of his finest albums. Opening Disco Club is the hook-laden, soulful disco of A Fim De Voltar where strings sweep and swirl as horns punctuate the arrangement and soulful harmonies accompany Tim Maia who announces his return. There’s no stopping him as the horns and strings combine while the rhythm section provide the heartbeat to Acenda O Farol which features a heartfelt and soulful vocal. The tempo drops on Sossego where the arrangement is initially tough and funky as a clavinet joins with the rhythm section as horns blaze and strings sweep. When Tim Maia’s vocal enters, the band take their lead from the soul man and locks into a groove on another irresistible track. It gives way to Vitória Régia Estou Contigo E Não Abro which is a funky instrumental workout complete with stabs of blazing horns where Tim Maia allows his band to take centre-stage. Tim Maia’s at his most soulful, as he delivers a hopeful soliloquy on All I Want where he’s augmented by backing vocalists. Later, though, things get funky while disco strings dance on this carefully crafted, genre-melting track. Murmúrio has a dreamy, jazz-tinged sound as the arrangement floats along before Tim Maia deliver a tender, soulful vocal. He’s accompanied by a Fender Rhodes, lush strings and gentle harmonies that play their part in this beautiful song. It’s followed by the beautiful ballad Pais E Filhos where strings sweep and join keyboards, harmonies, stabs of horns as the rhythm section provide the heartbeat. When Tim Maia enters, he delivers one of his most soulful as scatted harmonies accompany him and reaches new heights. This continues on the string drenched ballad Se Me Lembro Faz Doer where Tim Maia delivers a soul-baring vocal. When Juras begins to reveal its secrets, Tim Maia’s soulful vocal is accompanied by harmonies and lush sweeping disco strings. They play their part in a soulful and funky dancefloor filler. It gives way to Jhony which closes Disco Club, where Tim Maia delivers an impassioned vocal as the arrangement combines elements of funk, disco and a rocky guitar solo. This ensures that Disco Club which marked the return of Tim Maia, ends on a high. After several years where Tim Maia had struggled to reach the heights of his first four albums, he was back with what proved to one of the finest albums of his career, Disco Club. It combines disco with funk, soul, MPB and occasionally jazz and rock. Disco Club’s slick, polished and hook-laden sound found an audience across Brazil when it was released later in 1978. Tim Maia’s Disco Club became one of the most successful albums of his career. The Brazilian soul man was back with what’s one of the finest album that Tim Maia released during a career that spanned three decades and thirty-four albums. Disco Club marked the return of the maverick soul man whose career had been a roller coaster since making a commercial breakthrough with Tim Maia 1970. Since then, he had embraced become one of the most successful Brazilian singers of the early seventies, defiantly embraced the rock ’n’ roll lifestyle, joined a cult and spent all the money that had earned. That was why Tim Maia found himself playing a game of cat and mouse with bailiffs and debt collectors before releasing Disco Club. However, apart from joining the cult, Tim Maia enjoyed every minute of the past eight years Tim Maia knew he was only here for a visit and set out to live life to the full. That was just as well as Tim Maia passed away on March the ‘15th’ 1998, aged just fifty-five. Sadly, by then, Tim’ Mai’s shows and behaviour had become predictable, and that had been the case since his 1976 post-Racional comeback. Tim Maia was never the same man or musician after his dalliance with the cult of rational behaviour. 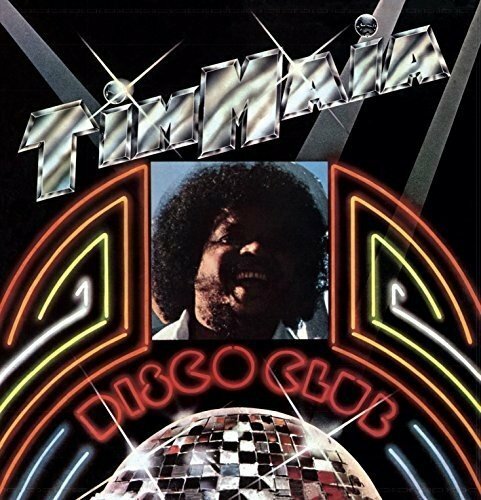 However, Disco Club was one of the finest albums Tim Maia released after his post-Racional comeback. So much so, that Disco Club is as good as Tim Maia’s first four albums, when his star shone the brightest. These albums are a poignant reminder of one of Brazilian music’s most talented sons at the peak of his power. Since his death in 1998, Tim Maia’s music has been a well-kept secret outside of his native Brazil, and even within Brazil, many people still aren’t aware of Tim Maia’s music. However, older record buyers still talk about the maverick singer-songwriter in hushed tones and remember the flawed genius that was Tim Maia who could’ve, and should’ve, been a huge star outside of his native Brazil. Sadly, something held him back, and stopped Tim Maia from enjoying the widespread commercial success and critical acclaim that his music richly deserved. That is despite Tim Maia being a hugely talented singer, songwriter, musician and producer who was capable of producing several classic albums, including Disco Club, which was one of the highlights of his long and eventful career. ← THE FUGITIVES-THE PROMISE OF STRANGERS. Very sad article. So sorry that there was so much pain in his life and that he died so young. BTW – if you can’t take feedback in the studio – especially from the vocalists who tend to care about their voice not being drowned out by the other parts – well, get out of the studio.